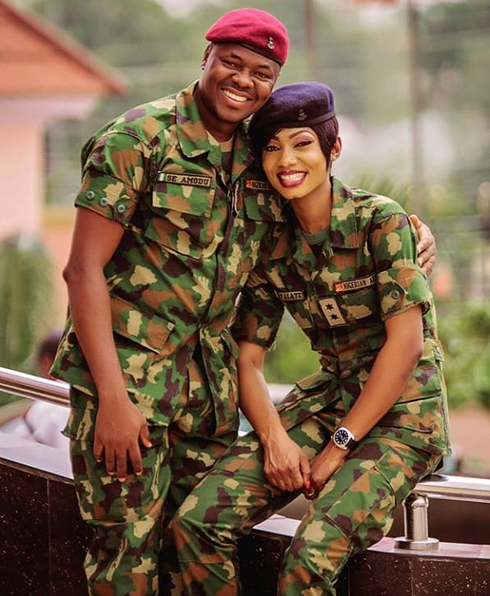 A soon-to-be-married couple spiced up their pre-wedding shoots with a daring military theme that bespoke poise and told us just enough about their chosen profession. 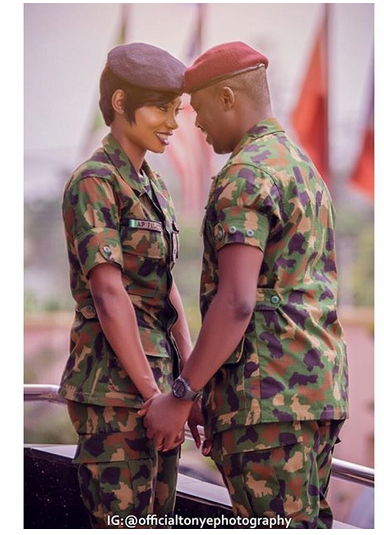 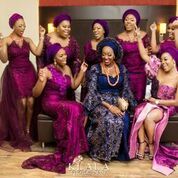 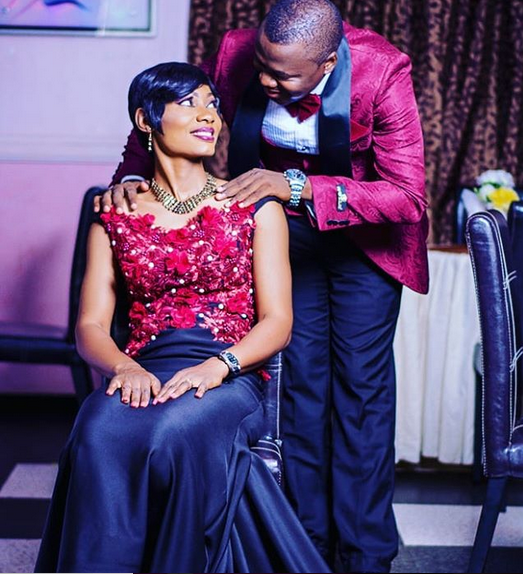 Beautiful pre-wedding pictures of a military couple flaunting their uniforms have surfaced on the internet. 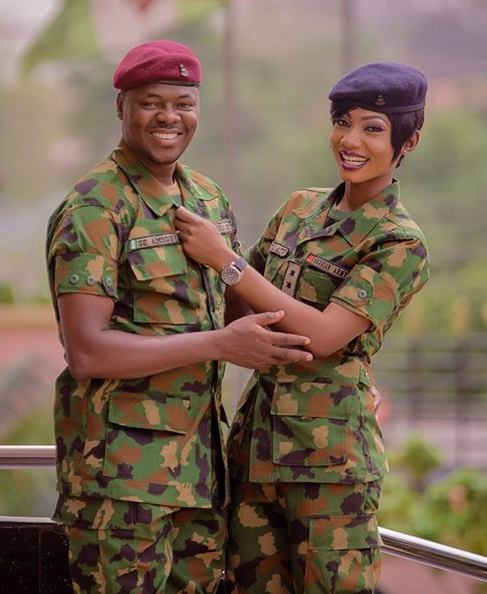 These pictures which portray the soldierly profession in its full splendour are gaining the respect and admiration of a wide audience. 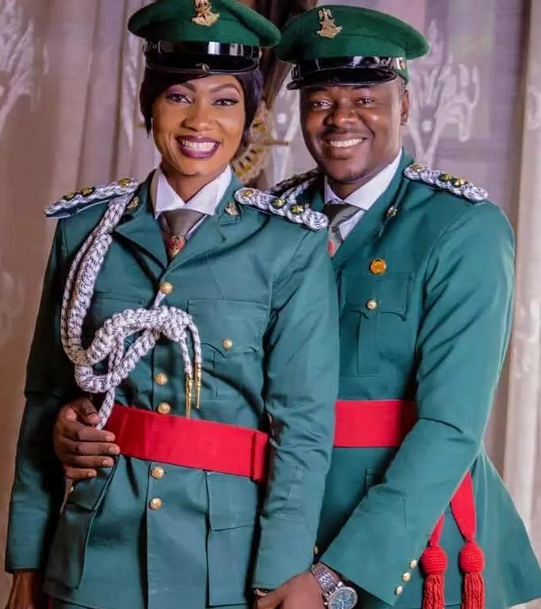 The couple identified as Sylvester Emmanuel Amodu and Abimbola Precious Falaya respectively serve in the Nigerian Army. 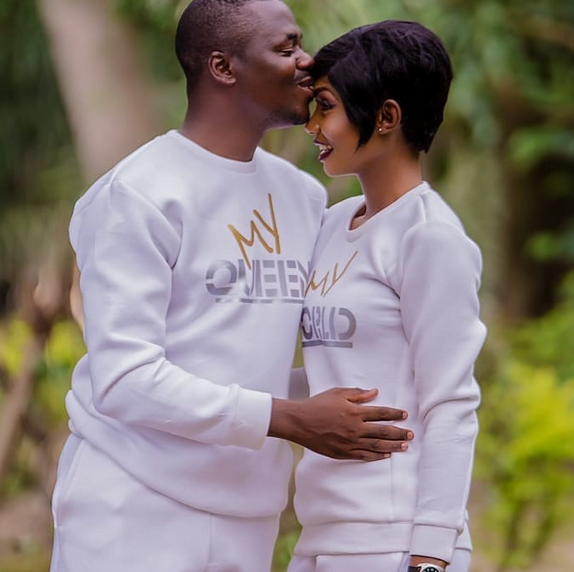 For one, the prospective groom serves in the capacity of a medical doctor while the bride-to-be works at the Ministry of Defence.